If the recent research from Broadband Genie is anything to go by, it looks like UK consumers are not convinced by the £400 price tag of an iPad to actually buy one. Apple have not yet published figures for iPad sales either globally or by territory, so apart from the quoted figure of 2 million iPads in two months (worldwide) little is actually known about the sales. In fact journalists were left to estimate volumes by measuring the length of queues at the Apple stores at launch (longest was Australia at 650 feet). It’s important to not get caught up by the rush of geeks at the launch of any device, the true measure will be from long-terms sales. 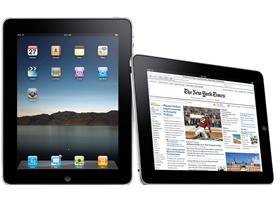 However, the recent UK report suggests that 60% of consumers regard the iPad as an over-priced gadget. Part of the problem may come from the fact that the market is used to highly subsidised phones, leaving consumers thinking ‘why pay £400 when I can get an iPhone as part of a contract’? However, the other element may simply be that the need that Apple saw in the market just isn’t that large. Although eBooks have proven to be successful, the highly touted magazine subscriptions are yet to take off. Ad Age reported that magazine subscriptions for tablet devices have fallen well below expectations, ranking low on iPad users’ apps wish lists. To be fair, the tablet market is a new one and could take a while to find its feet. However, it may prove difficult for publishers to get the return on the massive investments made in this sector.